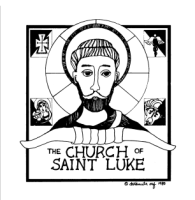 Hello, my name is Lance Attiq and I am the Web Master/Site Administrator here at The Church of St. Luke. This is my first year as Web Master but I have a long history with St. Luke such as, in more recent years, acting as the Vacation Bible School (VBS) Director, facilitating technology during the High School Confirmation Retreat, and taking the role of Master of Ceremonies (MC) through Altar Service. As VBS Director, I am involved in the preparation, planning, and function of VBS up to and through the one week program which include finding not only participant but teen and adult volunteers. During the High School Confirmation Youth Retreat, I take part in conducting the technology aspect of teen presentations, as well as taking pictures and preparing for evening mass at the retreat site. As MC for St. Luke, I take part in the liturgy by assuming some roles of clergy by preparing the Altar, going out to teach the message of Jesus through the training of new Altar Servers, and participating in all major ceremonies such as those with multiple priest/bishops or of special occasion/meaning. Outside of St. Luke, I am in the process of obtaining a Bachelors of Science degree in the field of Health Science with a Certificate in Diversity. 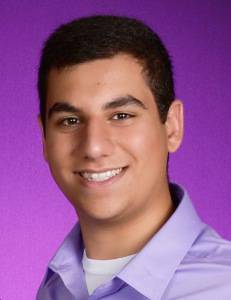 Ultimately, I aspire and reach towards becoming a Dentist through post-graduate studies and various programs. In addition to working at St. Luke, I also work at Steele Canyon Charter High School as a Student Support Tutor for all 9th and select 10th/11th grade students in mentoring and emphasizing the need for study skills and initiative in school, life, and future workplace. I also coach and keep sports statistics for Steele Canyon in Cross Country and Track & Field. In my free time, I enjoy spending time with family and friends during large gatherings or small get togethers. I also enjoy, when time permits, resting and relaxing at home by watching movies or surfing the web on my iPad. If you have any questions or special requests regarding the parish website, feel free to email me by clicking the link above.